Disclosure: this post is sponsored by Jewelers Mutual Insurance Group. As Amy will tell you, she knew almost right away that we were meant to be together. 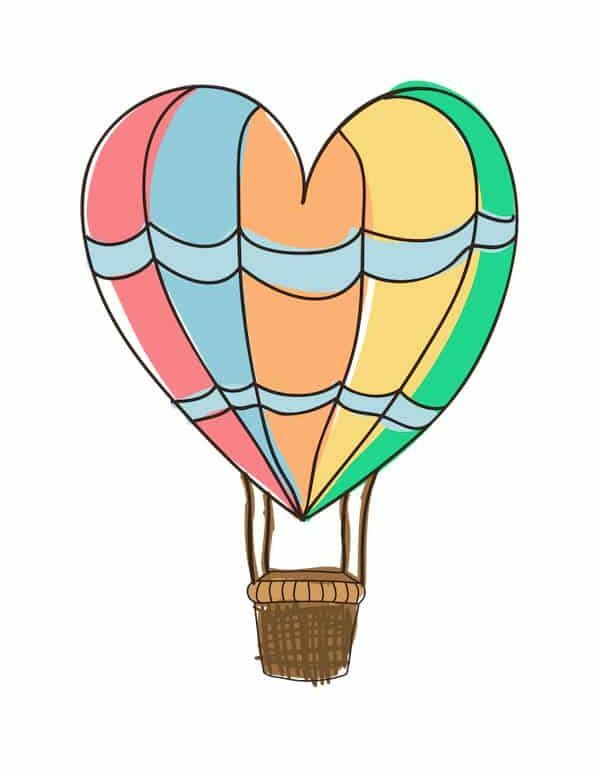 I, ever more cautious, certainly felt the spark, but wasn’t ready to dive headfirst into love. Once I did, I wish I’d done so even sooner. Marrying Amy has been the best thing that ever happened to me, and our life has been, so far, an amazing adventure. It may sound sentimental, but doing the thing you love with the one you love, is one of the most amazing possibilities in life. From a hostel dorm room to the altar to a life hand-in-hand, here’s a bit of our story. In 2011, Amy & I happened to end up in the same dorm room of an Edinburgh hostel. What started off as a flirtatious friendship in a youth hostel grew into a deep and lifelong love. And it cemented the fact that travel would always be a big part of our relationship. You can read our whole “falling in love” story HERE. 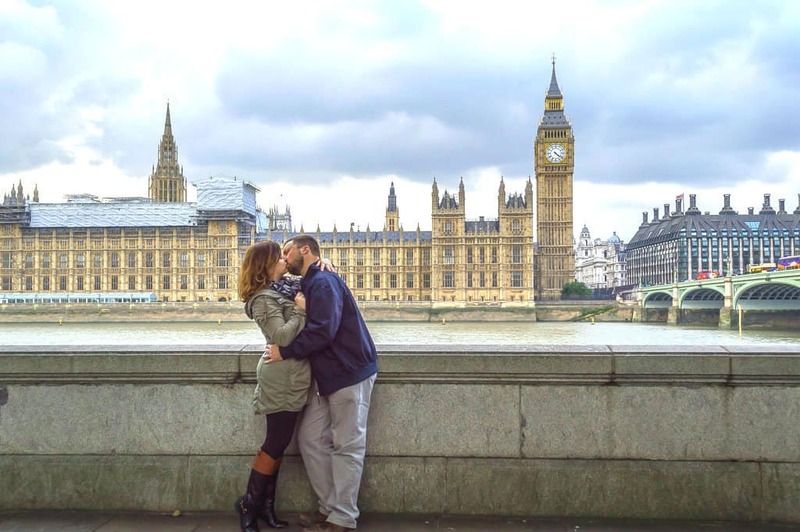 Our first real “date” was a weekend spent exploring London. And from then on (practically) we began to do all of our travels and exploration together. There was some time spent in a long distance relationship, but it wasn’t long before we had adventures in England, Australia, Canada, and beyond. In Australia, we spent more than half a year traveling around the country in a camper van. Our bond grew tremendously during those months. We were learning more about one another and about what long-term couples travel might look like. Honestly, if you can survive van life with a partner, that person’s a keeper! We loved sharing our experiences together. It made them that much more meaningful. Even the occasional mishap and problem was better with Amy by my side. We would work together to solve issues and laugh about them later. Those shared moments mean everything. After a couple of years, it was clear that we both wanted to go the distance and commit to a life together. 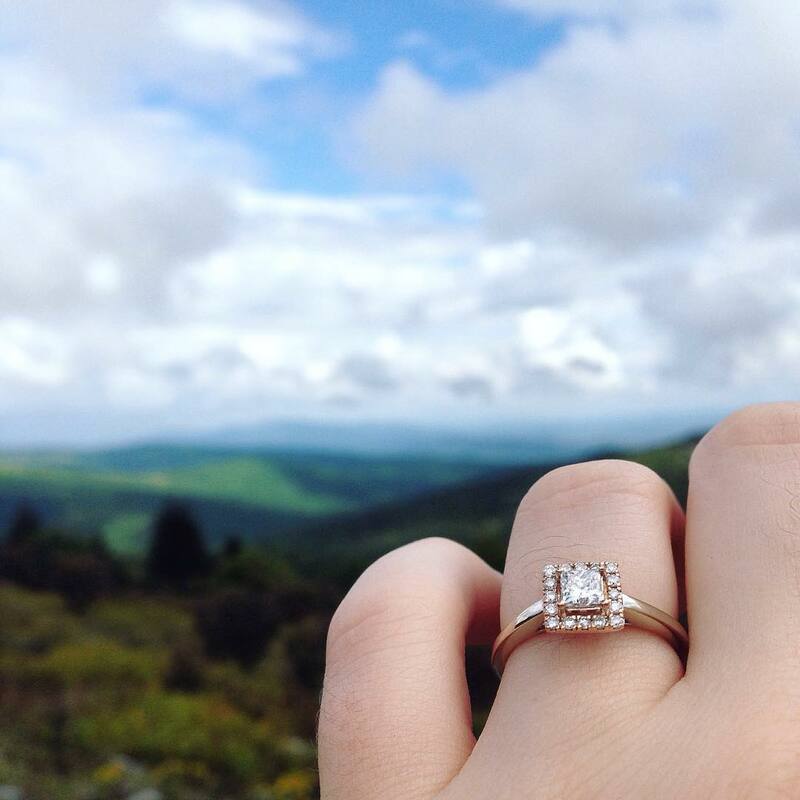 I proposed to Amy during one of our adventures close to home, a hike in the mountains of Virginia. She said yes with a huge smile on her face, and we had an amazing day talking about the future and spending time in nature. Amy loved (and still loves) her engagement ring. It came from a small estate store in Asheville, where we then lived. Not only was it Amy’s ideal style, but the ring carries so much meaning. It holds the memories of the proposal, symbolizes our vows and connection, and has the sentimental significance of being purchased in Asheville, a place special to us, and where we had our wedding. Because of this, it’s so important to protect this beloved item. Jewelers Mutual Insurance can give you the peace of mind while you’re traveling or close to home. Learn how to protect your engagement ring and your fiancee can wear it without worry. And if you need some help choosing a ring, you should get started with the best resource for learning about engagement rings. 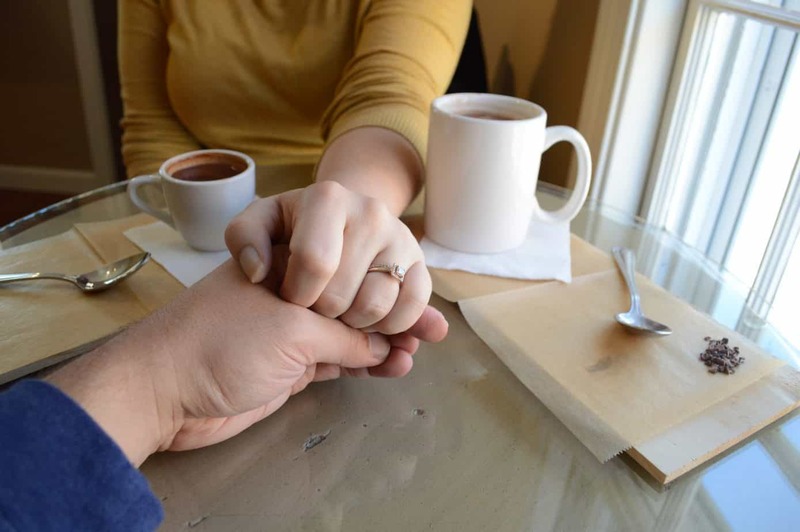 Since the engagement, we’ve treasured moments big and small. Our wedding, April 9th, 2016, was one of the greatest days of my life. It was amazing to become husband and wife surrounded by our closest friends and family. 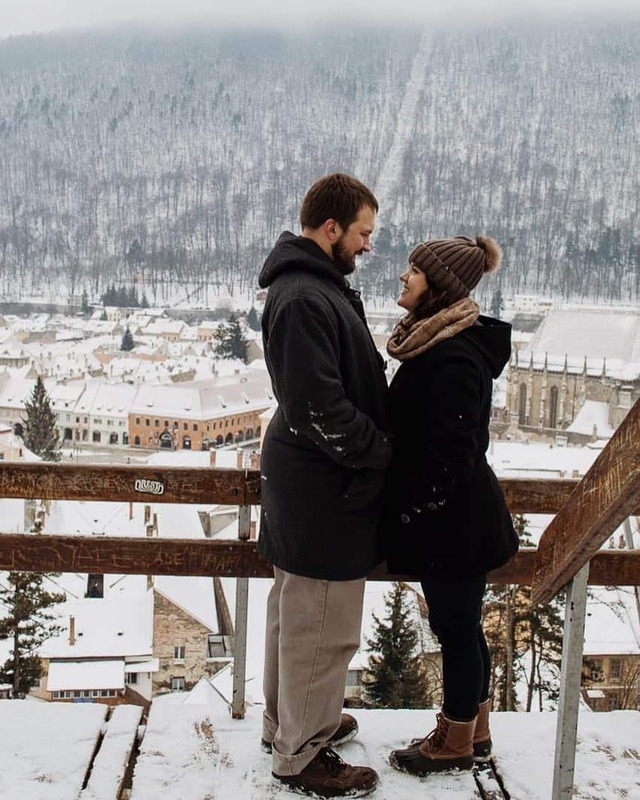 We’ve also taken some incredible adventures: our honeymoon in Canada, a few months spent exploring Romania, and more. Through it all, our connection and our love for one another has only continued to grow. It’s incredible to love someone more and more every day, and I feel really, really lucky. We’ve also shared smaller, sweeter moments. Walking hand in hand in the snow. Sitting side by side sipping coffee at a local cafe. These things are just as meaningful, and even more special because of our love—and our marriage. Our adventures are far from over, and we look forward to experiencing even more of the world as husband and wife. Our travels and our journey in a relationship together has morphed and changed us for sure. Travel makes you learn about yourself in fascinating ways, and when traveling with a partner, you see each other at your best and worst; you can’t help but grow. And a relationship may be the greatest adventure of all. Through the past six years, we’ve grown and matured, and we’ve helped each other to become better versions of ourselves. In many ways, we’re opposites, but we are complementary in that sense, and we both bring unique strengths and intricacies to our marriage. We boost each other up, encourage one another, and even challenge one another to work our hardest, be our very best, to make the right decisions. And one of those right decisions is definitely protecting one of our most important purchases. 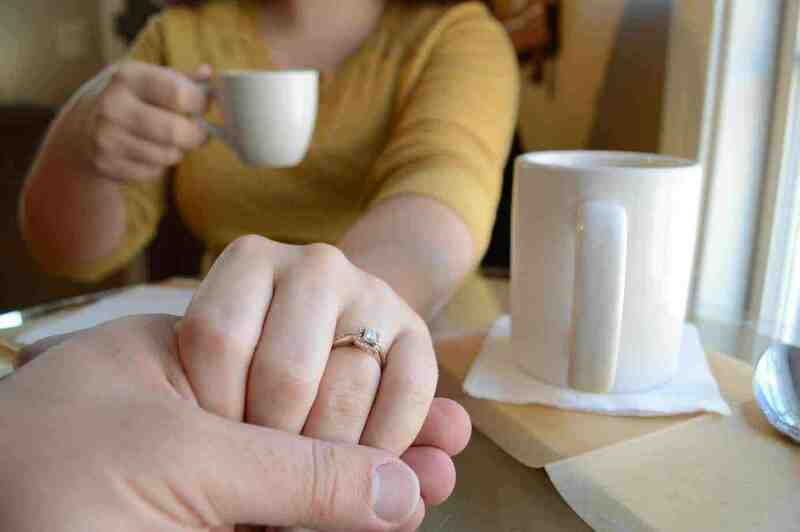 Whether you’re recently engaged or already married, Jewelers Mutual Insurance Group makes getting a personalized online quote quick and easy. How has travel made your love stronger? Or how has a shared hobby/activity brought you closer together? Share with us in the comments!